Year 4 have made some movies using Microsoft PowerPoint. First they found some pictures, then they translated the English into French using Google translate, next they recorded themselves saying the french words, and finally they turned them into a movie. We hope you enjoy them. This term Kimmeridge class have been learning all about Ancient Egypt! Our next project will be to write an informative newspaper article about the day Tutankhamun’s body was found! So far the children have enjoyed interviewing the little boy who discovered the entrance, the famous archaeologist Howard Carter and very wealthy Lord Carnarvan. Keep an eye out for our historical articles which will be published next week! Today has been a very exciting day in Kimmeridge because it is the start of our exciting, cultural topic about China! Take a look through the gallery below to see a snap shot of some of the activities from our immersion day. Highlights include an early morning exercise lesson inspired by school in China, designing and making spring roles and writing a spring roll recipe. In support of centenary commemorations across the country, Kimmeridge class have been learning about the Great War. On Wednesday 21st November, Kimmeridge class replaced their red uniform for 1910s costume as they experienced what it might have been to be a wartime evacuee. After completing a history fact finding mission in the morning, the children completed a range of hands on practical activities such as cooking, knitting and gardening in the school allotment. The children had a fantastic day and thoroughly enjoyed sharing stories about family members who were part of the war effort. Kimmeridge class held their own remembrance ceremony this week. The children read a range of war time poems and some even wrote very poignant passages to remember those who lost their lives in the war. One of our focuses this term has been to develop a growth mindset attitude to our learning. During our growth mindset lessons, the children have been specially learning about to effectively collaborate, empathise, listen and persevere. It is fantastic to hear so many children using the power of ‘yet’ in their everyday learning language. Take a look through the below gallery of our growth mindset garden and growth mindset brains made out of salt dough. What a fantastic half term we have had in Kimmeridge. I am so impressed by how well the children have settled into their new learning routines and I have seen some excellent examples of creative thinking. The homework produced this term has been superb and I am so thrilled by how much the children have thrown themselves into their Stone Age topic. It is also lovely to see the children taking on board their positive growth mindset lessons and using this language when they feel their learning is tricky. 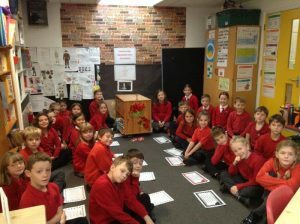 Please take a look at the gallery below to catch a glimpse of the impressive learning we have been doing in class. There has been lots of singing, dancing and acting in Kimmeridge class this term as we have been rehearsing our class performance of Our Natural World. A story about the environment told by song and dance, the performance of Our Natural world highlighted key environmental issues surrounding the impact of plastic on our oceans and the palm oil industry. The children’s performance was absolutely superb, with our final dance to the circle of life bringing tears to the eyes of some parents. I am confident we have future dancers and actors in our class. Keep up the hard work. You made Miss Humphries very proud. Take a look at the pictures from our end of summer trip to Lyme Regis. The children had a fantastic time visiting the Lyme Regis Museum and were later taken on a guided fossil hunt along the shoreline! The children loved finding fossils and could not believe they were from the Jurrasic era! Well done to all of the Year 4s who have just completed their first residential trip to Bristol and Cardiff! Miss Humphries was very impressed by how the Year 4s embraced being away from home and it was great to see such lovely team work. Take a look through our exciting gallery of pictures. Can you spot some of the following attractions we visited? What a busy week it has been in Kimmeridge class! The children have thrown themselves into the Indian topic and have been asking some fantastic questions about Indian culture! In our computing and English lessons, the children have been learning how to use Google’s search engine to research facts about the Taj Mahal for their non-chronological reports! We also took a virtual trip to the Taj Mahal using YouTube. In our recent Design and Technology lesson’s the children have been making their own Roman armour. During the design and make process the children put lots of thought into how they would make sure that their armour would be functional during battle! Well done to children from Kimmeridge class who represented us in the Colmers Cup! What a fantastic achievement it is to win a football tournament. Well done to this term’s homework winners! I am so impressed by your Roman themed homework. Keep up the hard work Kimmeridge! 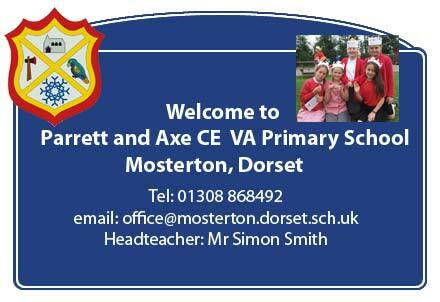 Welcome back to Kimmeridge class! I hope you all had a fun Easter break! Pack your bags and dig out your passports because this term we will be taking an overseas learning trip to the beautiful, vibrant country, India. It is going to be an exciting topic that will inspire your learning across all of our curriculum subjects. To support your learning in school, I have set you a new homework challenge with an Indian theme. You have six weeks to choose and complete projects from your Indian homework passport. Kimmeridge class have been learning all about the functions of our teeth and what we can do to care for our teeth.